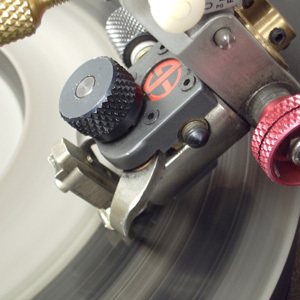 Diamond cutting is not only an art, but is also a very precise and exact science. The skills needed to be a proficient diamond cutter and polisher takes years of training to acquire. 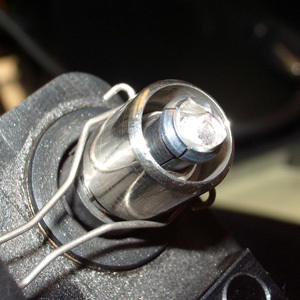 Marking is the first planning stage of the diamond cutting and polishing process. This entails carefully examining and measuring a rough diamond, where inclusions are noted and the yield of the rough is determined. 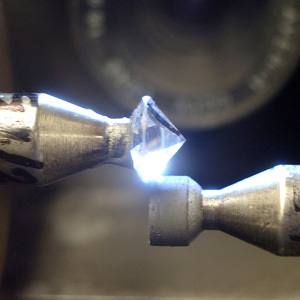 A diamond marker may decide to mark two or three diamonds from one piece of rough depending on the characteristics and inclusions present in the diamond. It may make more sense to polish two diamonds from a large rough around an inclusion to yield two smaller stones with a higher clarity, as opposed to one larger stone with a low clarity grade. Using the latest 3D laser scanning technology, the rough diamond is marked to guide the diamond cutter. 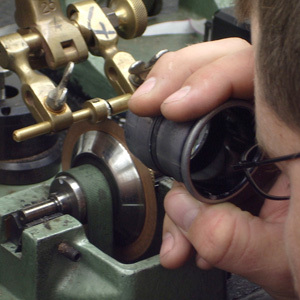 The marked rough diamond is then placed on a jewellers sawing spindle, where the blade is made from copper layered with a mixture of oil and diamond powder. The rough diamond is then lowered to the blade and cut where the marker has marked the stone. Interesting note: it is the diamond powder that physically cuts the diamond, not the copper blade. The reason for this is diamonds are the hardest known mineral to man, and only a diamond will cut another diamond. Here the rough diamond is set onto a ‘dopstick’ using a special type of cement to secure it in place. During this stage, two rough diamonds rub together and the friction wears the corners of the diamond down until it is round in shape. 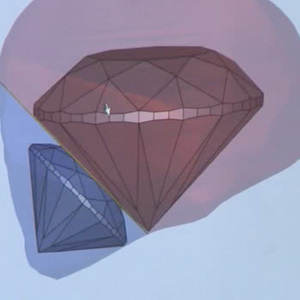 The diamond is set into the ‘tang’ and lowered onto the ‘scaife’. The scaife consists of a wheel impregnated with oil and diamond powder, and resolves at an incredible 3,000 revolutions per minute. Here the diamond cutter polishes the four main crown and four main pavilion facets. These facets are then divided into another four facets on the top and bottom which are polished to achieve an eight square. The diamond is bruted a second time to ensure that the stone is perfectly round. Here the remaining facets are polished and shaped to refract and reflect the optimal amount of white light. It is this stage that determines how much fire, brilliance and scintillation the diamond will have and as such it requires intense skill and experience. Here the ultimate goal is to obtain ideal proportions and perfect symmetry.